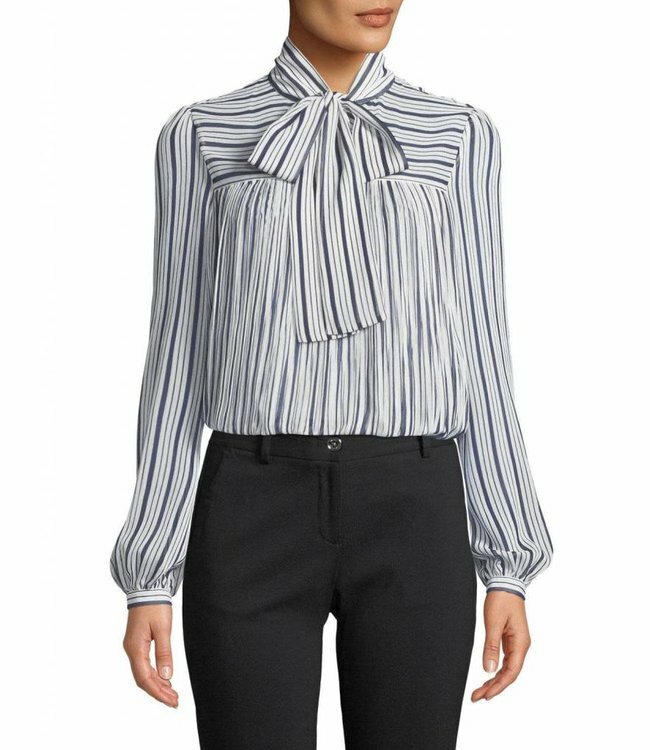 Michael Kors Carolina Neck Tie Blouse-Navy - Refinery Clothing Co. Contemporary and sophisticated, this wispy chiffon blouse reflects MICHAEL Michael Kors’s aesthetic. The semi-sheer profile is cut to a fluid shape that’s covered in stripes.